What many people don't realize is that a cruise actually offers a great value for the money you put into the trip. The reason for this is that many cruises are all-inclusive. Your food, your accommodations, transportation, and entertainment all calculated in the overall costs. When you look at the cost for a mainstream cruise line you will find that on average it is less than $100 per person, per night. If you compare that to how much you spend for a typical hotel, dinner, and show on any other vacation you will find that the cruise is actually much less expensive. For families in particular it’s beneficial because you can get discounted rates if your kids share a cabin with you and some cruise lines let kids sail for free. Of course, value should not mean compromising on quality. Many upscale cruise lines have inclusive packages that handle flights, alcoholic beverages for the trip, gratuities, onboard spending credit in case there something you want to purchase, even a tour when you get to land. The amount up front can seem shocking to people who are accustomed to looking at individual facets of the vacation at separate times. 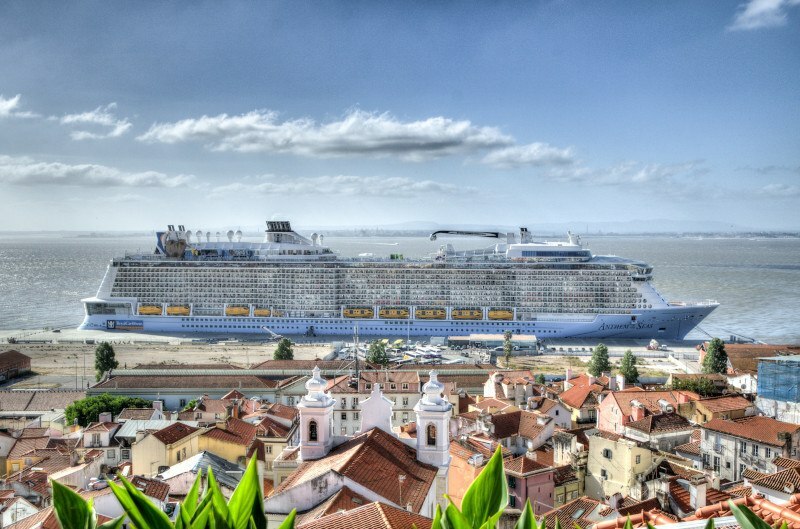 However, if you were to compare the total costs of a cruise with the total costs of a land-based vacation with a similar itinerary, the cruise would almost always be the better value. You don’t need to try to cram a two-week cruise into a busy schedule, or settle for a weekend cruise when what you’re looking for is immersion. From quick three-night getaways to months-long world cruises, you can find the perfect retreat to match your travel style, dream destination, schedule, and budget. There are different cruise ships as well so you can pick a 12 person river barge, an oversized 5000 passenger ship, even a minimalist sailing ship. Larger ships are actually more like floating cities. Many people are concerned that they will be stranded in the middle of the ocean for most of their trip, but realistically everything you could possibly want is located on board. Every vessel will have Wi-Fi, cell service, even satellite television. You can buy any toiletries that you might have forgotten, wash your clothes midway through your cruise, visit the medical bay if you have an illness, even stop by the gym or the spa. Once you get on the ship you can find something for everyone. Outdoor individuals can enjoy the rock climbing walls, an upscale intimate dinner, an outdoor movie theater, and more. There are ships that specialize in language classes, yoga classes, dance workshops, computer classes, and educational lectures. You can play basketball, go to a casino, spa, or catch live performances. Enjoy a comedy routine, stop by a theater, paint pottery. Eat a variety of foods all week long from sushi to steak. With a cruise vacation package everything is easy. Transportation and accommodations are simple. Just pick your ship, you choose your itinerary and your cabin, and everything is done. You won't have to waste time searching for hotels that fit your price range or try to coordinate your travel between three different cities. You can have everything picked for you. You can also find a cruise that departs near your home or include your airfare in the package. Even if you have 20 family members or a group of friends that want to go with you, all you have to do is book enough cabins for everyone and everything else is taken care of. In addition to the cost-effectiveness for families, many cruise lines are one of the few places that families can visit which are entirely friendly to kids of all ages. It can be a struggle to take a vacation when your kids are various ages, as they each will no doubt have different interests. With a cruise line, you can rest assured that your teenagers have a place to hang out when they don't want to be around you. Your small kids have a place that they can play, and you still have a place where you can swim or drink. Swimming pools, excursions, kids clubs, and video games enable parents to have time for themselves while their kids are occupied. One of the most attractive aspects of taking a cruise is that you can book cruises which have multiple stops. Fly in to Europe and take a cruise that shows you multiple cities inside multiple countries and even takes you to places like St. Petersburg. But add to that the fact that you only have to take one flight to and from your house, and you never have to unpack and repack your suitcase. If you were to take the same type of trip by air or by train, you would have to change hotels every morning and make sure you check out by a specific time. Moreover, it's hard to enjoy any activities or entertainment when you are trying to get yourself to and from four different airports in one week. Book a cruise to Italy, Spain, Greece, and France without having to check in or out.